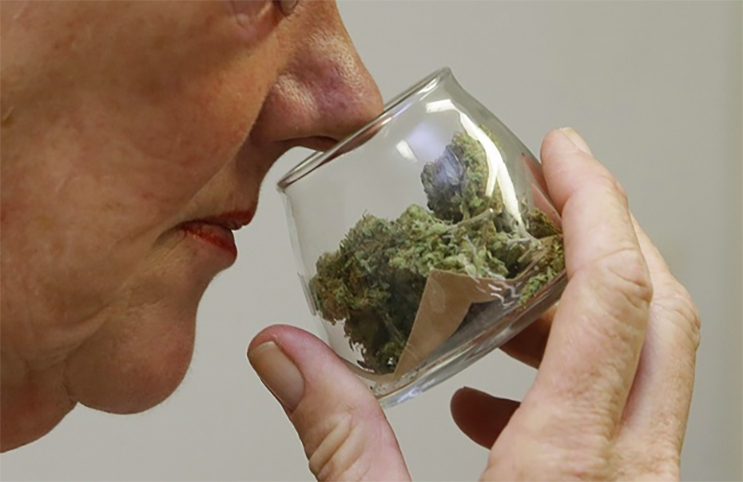 Cannabis has a distinct odor that can be sweet, earthy, spicy, or anything in between. These variations in smell are caused by terpenes. What is this natural compound and what can it do for you? Have you ever opened up a fresh bag of weed and been hit with a dank scent wafting through the air? Did you ever wonder what makes strains like Strawberry Cough taste fruity or OG Kush taste earthy? That, my friend, is terpenes at work. Not sure what terpenes are? All your questions will soon be answered. Terpenes are natural compounds found in the essential oils of plant life. They produce a strong smell, which repels insects and animals to protect the plant. In cannabis, terpenes are formed in the trichomes of the plant. If you smoke a lot of decent-quality cannabis, you’re probably already familiar with trichomes. They’re the shiny, sticky, dew drop crystals found on weed leaves and bud. Over 100 terpenes have been identified in marijuana plants. Each terpene produces a specific affect and has it’s own scent. Cannabis strains can smell sweet, sour, earthy, spicy, or even fall into more specific categories like “cheesy” or “diesel-like.” Varying terpene combinations in different strains means that each strain has a unique scent. The terms terpenes and terpenoids are often used interchangeably, but they’re not exactly the same thing. Terpenes naturally occur on marijuana plants through the combination of hydrogen and carbon. Terpenoids, on the other hand, generally refer to terpenes that have been chemically modified. Like terpenes, terpenoids are known for producing strong odors. 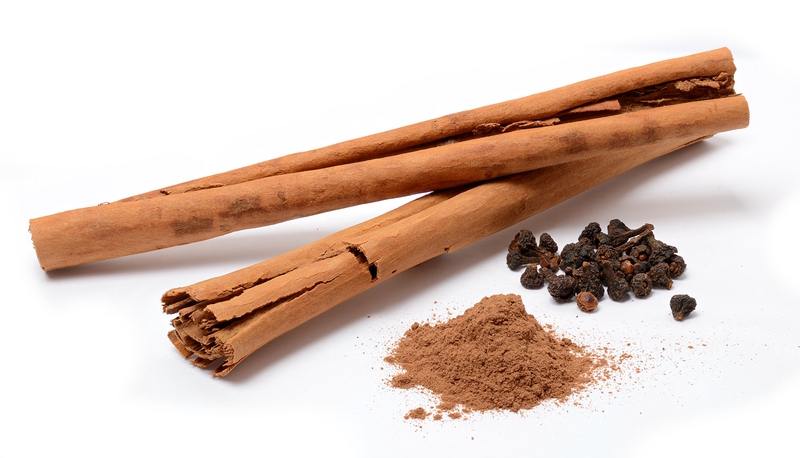 Terpenoids are responsible for the distinct scent of cinnamon, eucalyptus, and ginger. Just like cannabinoids, terpenes interact with the endocannabinoid system (ECS). The ECS is a network of cannabinoid receptors located throughout our bodies. Terpenes bind to these receptors and influence mood, sleep, appetite, immune system, memory and more. Different terpenes produce different effects. This is why a citrusy sativa can help boost your mood while some of the earthy strains work as a great sedative. Understanding the effects of each terpene can help you pick out the perfect strain to enhance your experience as a cannabis consumer. Marijuana plants are composed of natural compounds such as cannabinoids, terpenes, terpenoids, and more. When consumed together, these different compounds interact with one another to amplify certain effects. This synergy between terpenes, cannabinoids, and other organic compounds is referred to as the “entourage effect.” This relationship has the potential to enhance the medicinal properties of cannabis or increase your high. Known for its healing properties, pinene has been used across various cultures as a medicine for thousands of years. As you might have guessed from the name, pinene is commonly found in pine trees. Pinene comes in two forms: alpha and beta. Alpha is the most commonly found terpene in nature and gives off a scent of pine needles. Beta gives off the aromatic scent of herbs like dill, parsley, basil, and rosemary. Pinene can act as a powerful bronchodilator, improving airflow to your lungs. This makes it a great option for people struggling with asthma symptoms. This terpene acts as a powerful anti-inflammatory agent as well. Furthermore, there are even claims that pinene can help counteract the memory loss commonly associated with THC use. This terpene is commonly found directly in lemons and in the rinds of other citrus fruits like oranges and limes. Limonene is often added to household cleaning products due to its powerful citrusy smell and antibacterial and anti-fungal properties. Some theorize that when consumed, it could even be beneficial for fighting bacterial infections. In marijuana plants, this terpene acts as a natural insecticide. Limonene is typically found in sativa and hybrid strains, and is known for boosting mood and relieving stress. Linalool is generally found in lavender and is known for its light, floral scent. This terpene produces stress-reducing effects. For this reason, it’s often used to combat depression, anxiety, and restlessness. Linalool is also used to help alliterative seizure symptoms and those suffering from issues with psychosis. This terpene has an earthy odor and can be found in plant life like thyme, lemongrass, hops, and mangoes. Myrcene is one of the most common terpene profiles in marijuana. The presence of myrcene determines if a strain is considered an indica or a sativa. If a cannabis plant has more than 0.5% myrcene, it’s likely to produce indica effects; a myrcene presence of less than 0.5% is likely to produce sativa effects. This terpene is beloved for its antibiotic properties and ability to relieve pain. Caryophyllene emits a spicy, peppery aroma and can be found in a variety of herbs and spices like pepper, cinnamon, cloves, basil, hops, and rosemary. This terpene also provides a number of great health benefits. Caryophyllene works well as an anti-inflammatory and analgesic treatment. It’s been said that this terpene can alleviate symptoms of anxiety and depression as well as help with alcohol addiction.